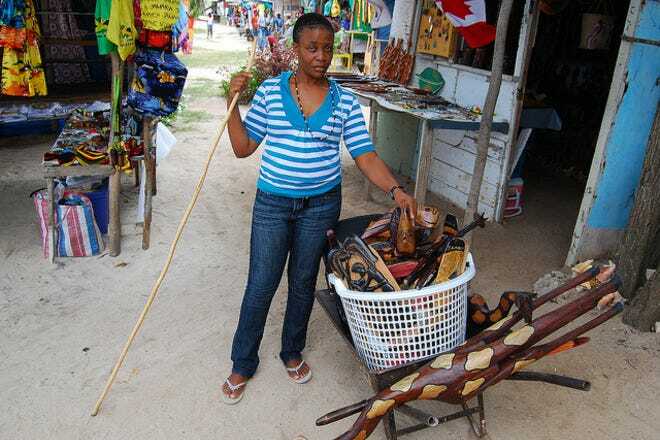 From all the shops and stores on the island of Jamaica, 10Best narrows the options to those places with best values, variety, and quality items including several duty-free destinations and markets with numerous vendors. 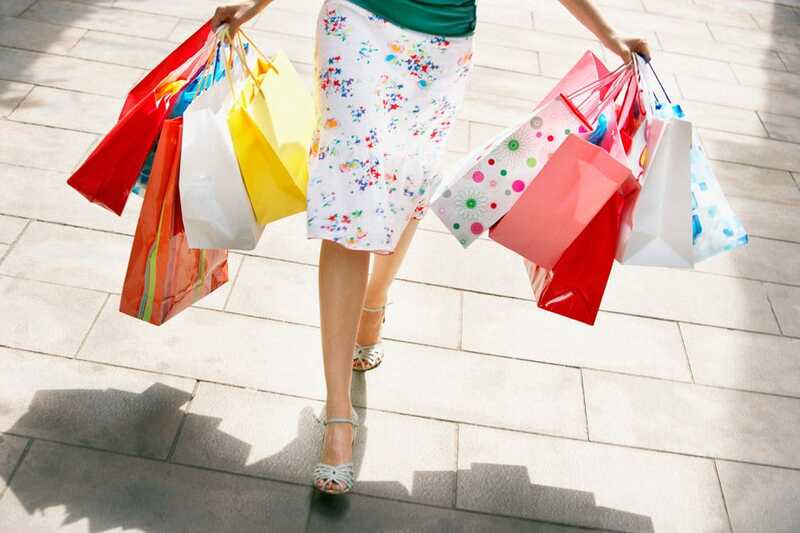 We deliver a carefully vetted selection to let you explore Jamaica shopping on your own. These places promise a stellar experience and a taste of Jamaica that you just can't miss. Handmade crafts like wood carvings, jewelery, and straw bags and hats can be found in several outdoor markets like the Old Fort Craft Market (housed in a 17th Century building), and Island Village in Ocho Rios. Souvenirs shops abound that sell Jamaican rum, spices, Blue Mountain coffee, t-shirts, and Bob Marley memorabilia. 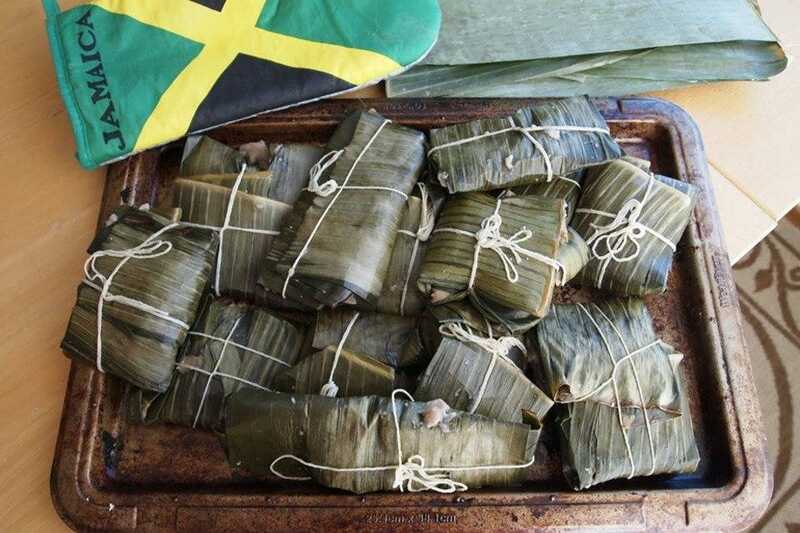 Try Things Jamaican, the Taj Mahal, or Half-Moon Shopping Center for that special item to take home with you. 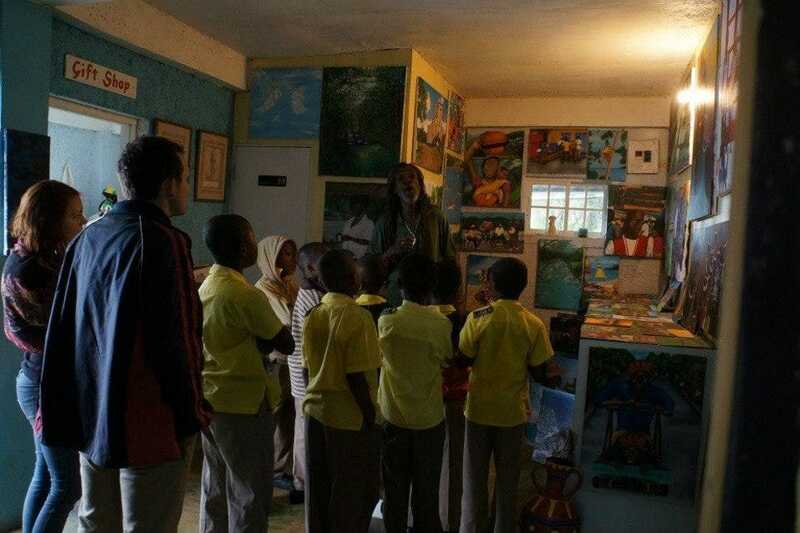 For art lovers, several galleries are housed in a unique setting such as the Devon House gallery in a historic mansion and Ahhh Ras Natango, a cliff-side gallery with stunning views and spectacular gardens. If time is really tight, though, and you don't have the leisure to look through all our offerings, we present our best shopping list for Jamaica. Here, we distill the best businesses down to a special selection of ten. 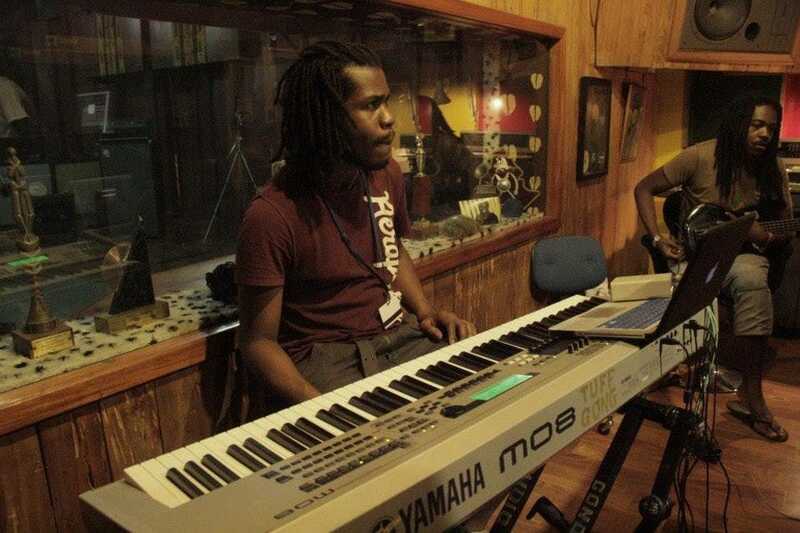 Founded by Bob Marley in 1965, Tuff Gong includes a recording studio, mastering room, stamper room, pressing plant, cassette plant, wholesale record shop, gift shop, booking agency, as well as offices for Rita Marley Music and Ghetto Youths International.The famous Tuff Gong International studio is one of the largest Caribbean studios. Artists, musicians, producers and tourists travel from all over the world to see and use it. Some famous names include Snoop Dogg, Jimmie Cliff, Beanie Man, Ziggy Marley, Lauren Hill, Shaggy, and many others. Bob Marley recorded several hits here like "Trenchtown Rock," "Buffalo Soldier" and "Could You Be Loved." Just a 15-minute drive from MoBay, Half Moon Shopping Village provides shoppers with the fullest array of wares they are likely to find in the city. The Village has more than 25 shops offering everything from local crafts and jewelry to designer clothes, perfumes, and beachwear. Plenty of restaurants and bars round out the selection, meaning that you can spend the whole day shopping without having to go far for refreshments. Half Moon is also home to The Bob Marley Experience which features a 68 seat theatre showing a film of the life and times of Bob Marley and gift shop. Housed in a 17th-Century stone structure that once held artillery, The Old Fort Craft Park now brings together between 180 and 200 vendors to offer shoppers a diverse assortment of handicrafts. You can witness vendors making jewelery right on the spot, and can have something made to order. Most diehard shoppers will visit more than once to see if new vendors show up with a unique piece to make the perfect souvenir, but all visitors should spend a least a little time here for the historical experience. Bring your negotiating skills; you can get a great deal if you're on the ball. 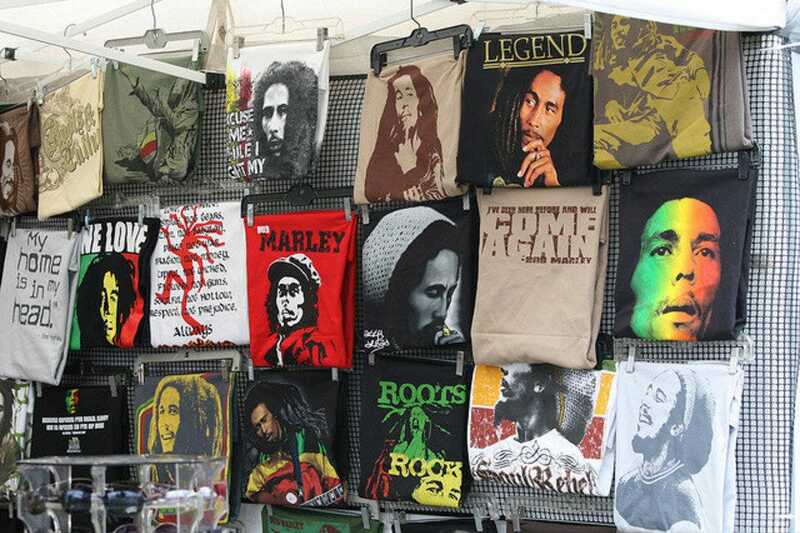 Spread over five acres along the cruise port in Ocho Rios, this shopping center has around 30 duty-free shops selling souvenirs, clothing, sunglasses, Blue Mountain coffee, sauces, books, and Bob Marley memorabilia. It's beachfront location is convenient for cruise passengers and there is also handful of restaurants and bars throughout. The center tries to replicate a Jamaican village, and concerts crop up during "cruise season" when ships are in port. Of course there is a Margaritaville and a Jamaican ice cream shop. If the port is empty, you'll have a better chance of getting deals, however many shops stay closed. A massive shopping center in Ocho Rios, Taj Mahal's tagline, "We can make your dreams come true," certainly holds some validity with shoppers who don't want to overspend while on vacation. The duty-free chain of stores offers watches by Seiko, Citizen, and Swiss Army and fragrances by Calvin Klein and Chanel. The jewelry selection is just as enticing, as are the fine leather goods--all at duty-free prices, of course. You'll also find souvenir shops like Cool Runnings and Caribbean Paradise for Jamaican CDs, hats, beachwear, rum, and coffee, or check out shops like Island Craft for straw hats, wood carvings and Jamaican artwork. The Gallery of West Indian Art is an excellent choice if you're shopping for an original piece of Haitian, Jamaican, or Cuban art. The gallery includes paintings, hand-turned pottery, tables, chairs, and a variety of hand-carved animals. The gallery was founded more than 40 years ago and now has two retail outlets. 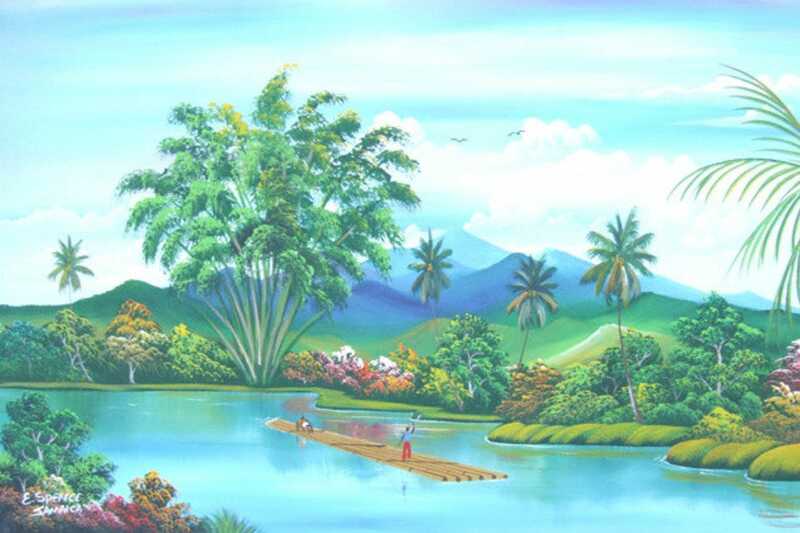 Paintings depict the environment, scenery and culture of the West Indies and make a unique addition to any home or office. All artwork is original and the shop will provide a certificate of authenticity. Shipping is also available so you won't have to carry a painting with you on a cruise or flight. 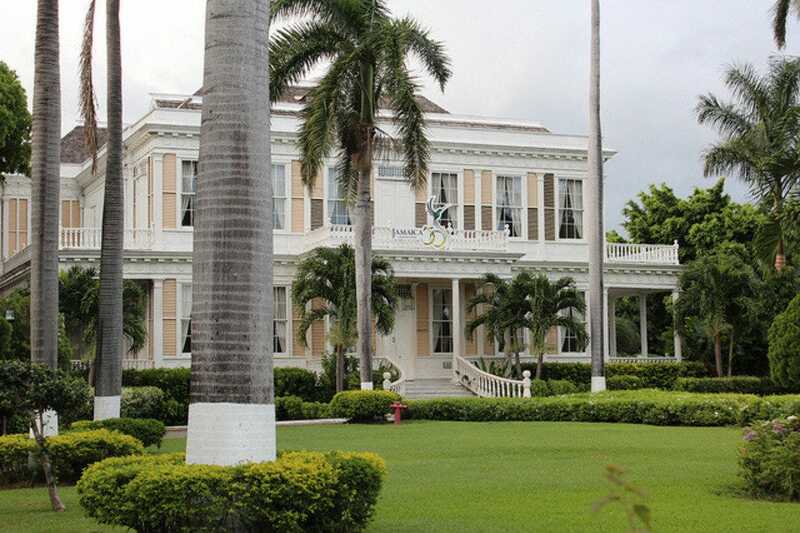 The Devon House Heritage Site is a 127-year-old mansion and a symbol of the cultural diversity. Built by Jamaica's first black millionaire, the 11-acre property provides a stress-free escape from Kingston and an enviable shopping experience. Several stores include Wassi Art, which sells functional ceramic pieces with an island theme, Cooyah Rootz Wear with a hip clothing line, and Ts and Treasures, which has a wide variety of local jewelery, craft items, and souvenirs. In addition, there are several restaurants and cafes on at the Devon House so visitors can easily spend a day here shopping, touring the grounds, and sampling delicious cuisine. With a location just four miles from Ocho Rios, this is a unique shopping experience near the cruise port. Harmony Hall celebrates Jamaican culture in the historical setting of a once massive 19th century sugar plantation. Today, visitors can stroll through craft markets or buy original Jamaican prints created by some of today's best-known artists. Wind your way through signed prints, one-of-a-kind paintings, and handcrafted wooden treasures to explore how present and past Jamaican artisans depicted a unique way of life. Call ahead to find out about special exhibitions, and make sure to bring your wallet since most of the pieces are for sale. Skip the magnets, ash trays, and snow globes and bring home souvenirs that your family and friends will appreciate. As the name suggests, Things Jamaican chain of stores represents all things inspired from the Jamaican culture and traditions. The items available are decorative and functional pieces that represent Jamaican heritage, with some modern works as well. It is a great place to find artwork, sculptures, peppersauces, rum, clothing, and intricate wood carvings. There are several locations including Kingston, Negril, and the Donald Sangster International airport. Pick up some Blue Mountain Coffee, hand-crafted pottery, cookbooks, clothing, paintings and other unique souvenirs. Before (or after) touring the gardens, soak in the stunning cliff-side view with cold Red Stripe or order a perfectly-prepared homemade Jamaican dish of fresh seafood or chicken. The gardens tour is like take a friendly stroll through a friend's yard as the owners share stories of how they got started. The flora and fauna is breathtaking. Inside, the gallery hosts paintings, jewelry, and other artwork that is entirely made by the staff at Ahhh Ras Natango.There is no pressure to purchase anything, and the owners use their art to further humanitarian efforts. When visitors leave Ahhh Ras Nantango, they will have new friends and lasting memories.